When you're a blogger, or you have contacts within the tabletop gaming industry, you hear a lot of things that never make it out to the general public. 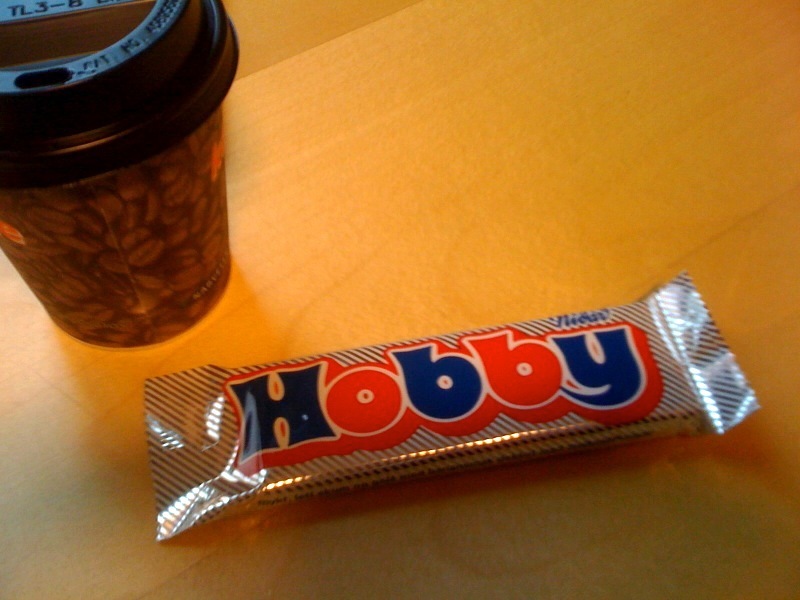 Who isn't paying their bills and their freelancers tends to be the thing that you hear about the most. 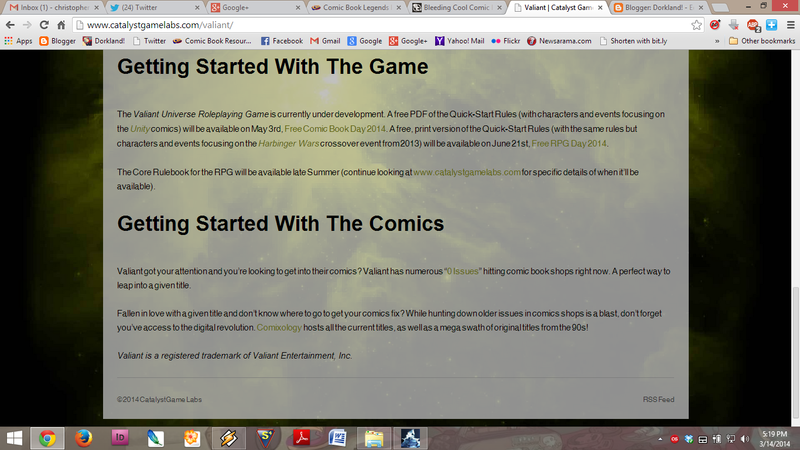 Which publisher lost a licensing deal over non-payment, that sort of thing. DMs on Twitter and private chats on Facebook and G+ give up some of the details on what is going on behind the scenes. Sometimes you pick up things around the gaming table. If you want this information to keep coming you learn to be discrete about things. You want your information to keep coming, after all. This is when a blogger should behave like a journalist and protect their sources. For example, a piece of information that I have been sitting on for a while now is that one of the well known publishers, known mostly for their science fiction games but also with some fantasy showings, is planning on dipping its toe into the realms of super-hero games by landing a fairly major (to our smaller niche of gaming) comic book license. Will this get past the negotiation stages? I have heard that it has, but as we all well know that doesn't assure that a final product will make the game shop shelves. We will know it when we see it, however. I hope that the game does make it. The license will hold a certain amount of nostalgia for those gamers who are comic book fans, I think, and it will definitely make for an interesting game. 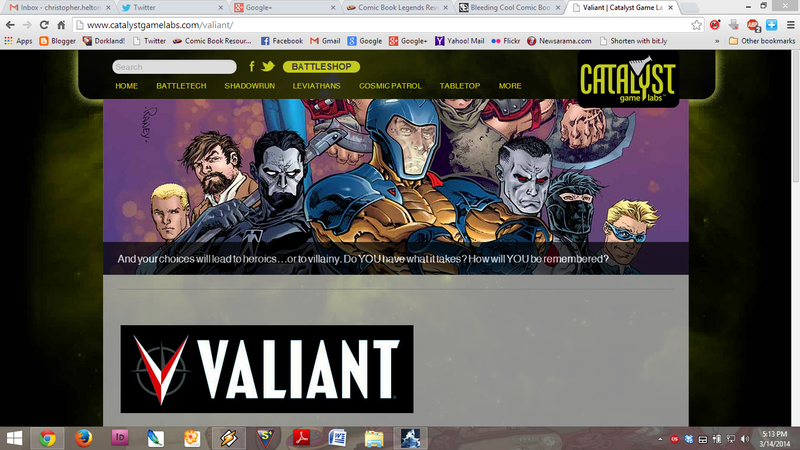 UPDATE: It appears that, while no announcements have been made, there is a holding page for the game on the company's website (http://www.catalystgamelabs.com/valiant/). If you want to keep secrets quiet, you shouldn't go live with your web pages. Actually, I looked for this a couple of days ago and couldn't find it. Hat tip to an astute reader for finding the link. SECOND UPDATE: I've added some screen shots of the page. Just in case. I am always leery of licensed games because, whether gamers like it or not, they are going to go away sooner or later. At some point the license will stop being profitable for someone in the equation and the game will go away. Yes, there is always the idea that licensed games will, by their nature, bring non-gamers into the fold, but I don't know if this is a prevalent as it would have been 10 or 20 years ago. Sure, there will be some crossover interest from people with the inclination who had never before gamed but I don't know that it is a big of a market as it once was. Regardless, let's watch and see if there are any big announcements about a new license at the GAMA Trade Show, Origins or Gen Con this year. If this game is going to go through, that is when I would assume that it would start to be talked about. UPDATE THREE: Expect to hear more soon. Do you have a tip one something big coming up? Let me know about it privately and I will keep all of my sources confidential. And slowly answer’d Arthur from the barge: "The old order changeth, yielding place to new, And God fulfils himself in many ways, Lest one good custom should corrupt the world. And bowery hollows crown’d with summer sea, Where I will heal me of my grievous wound." For us, here at the Dorkland! 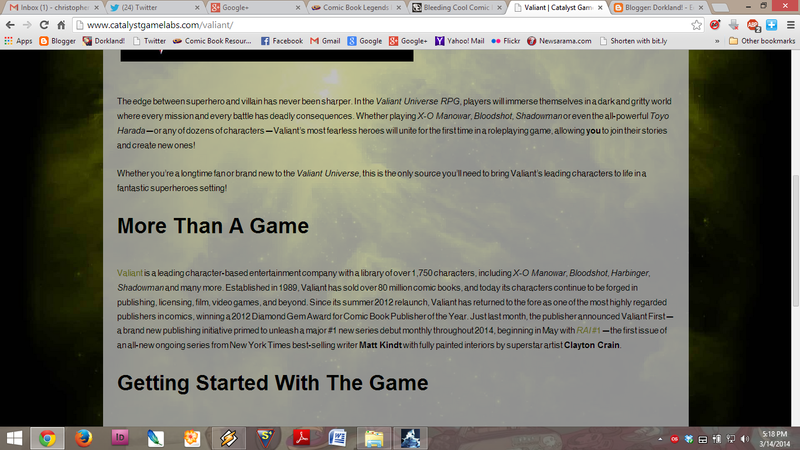 blog and related endeavors like the Geeky Voices Carry video blog/podcst, change is a good thing. Fresh blood brings fresh perspectives and diversity, and as we well know diversity is something that the geeky ways of life can't get enough of. And, yes, I just made you read a poem in order to get to the news portion of this post. If you're familiar with our Geeky Voice Carry podcast, you'll know that every two weeks we record a new episode. We being myself, +Stacy Dellorfano, +David Rollins and +Josh Thompson. We each have strong, and particular viewpoints, and we aren't afraid to disagree with each other either. Geeky Voices Carry grew out of off the air discussions that we would have before our weekly Hangout on the Air game. Stacy one day suggested "We should do a podcast around our talks. It would be fun." That makes all of this her fault, in a good way. 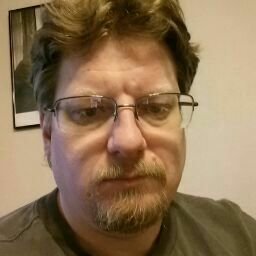 I'm +Christopher Helton, the founder, lead blogger and editor of the Dorkland! blog and host of the Geeky Voices Carry video blog/podcast. That is my look of disdain for a lot of things on the internet (plus I just don't like getting my picture taken). Honestly, when I started the blog back in 2003 and never thought that I would have a team of people as part of this blog or be doing a podcast. Heck, back then we didn't even have podcasts. I started gaming at the age of 11 in 1979, when my family moved to a small town outside of Muncie, Indiana. You can say that it changed my life. Now I am the co-publisher of Battlefield Press, Inc., which has published the ENnie Award winning game setting City of Clocks, as well as the Victorian-era game Gaslight (which I will apparently be converting to Fate at some point this year). 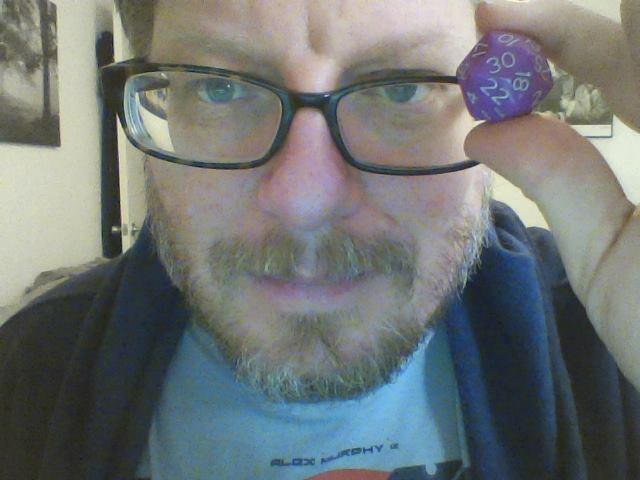 I designed the Open Core System and co-designed the d20 game Pulp Fantasy. I also have a few projects that should be dropping this year, including my Demon Codex and Paranormal Friction games and a new edition of the HeartQuest role-playing game. 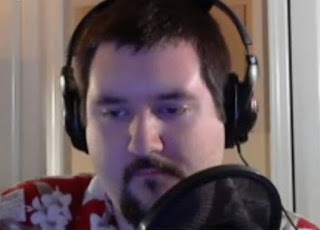 I am the GM of our weekly Hangout on the Air games, and I like it that way. Considering what gets said on a weekly basis in our games, if you're afraid to play broadcast games because of what you say...I fear for what people are doing in their games that is so embarrassing. I am proud to be a geek, and gamer and to be associated with all of the people who write for the blog are a part of Geeky Voices Carry. My gaming, and my life in general has been enriched by all of you. +David Rollins is a long time gamer and geek from Canada, in addition to being a professional photographer in what he quaintly styles his "real life." He also owes me a review. David has been a solid foundation in our weekly game. He has played a tough as nails Cleric in our Swords & Wizardry game, and he helped to playtest my strange, funky Magic-User variant for my Demon Codex game. He is a great player to have in a game, and he is good at looking at games from different angles. This skill has come in very handy on a number of playtests that we have run as a group. 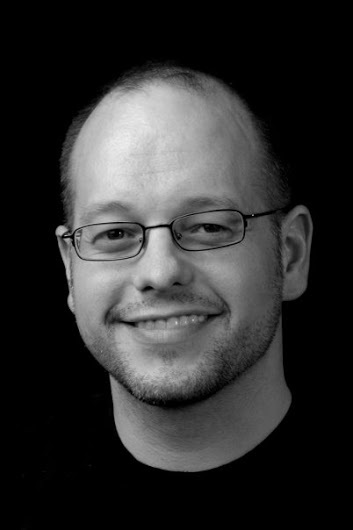 His perspective and insight have been invaluable to the podcast. He is also playing a Ley Line Walker in our new Rifts game, despite the fact the the default language in game is American. If you get a chance to have David in your hangout group for a one shot, or a few sessions...you should jump at the opportunity to game with this guy. I'm glad that I've been able to do so. +Stacy Dellorfano is another awesome gaming dynamo that I am glad that I have had the chance to meet and game with. Hopefully, this summer that will extend to finally getting to meet her in person at Gen Con. 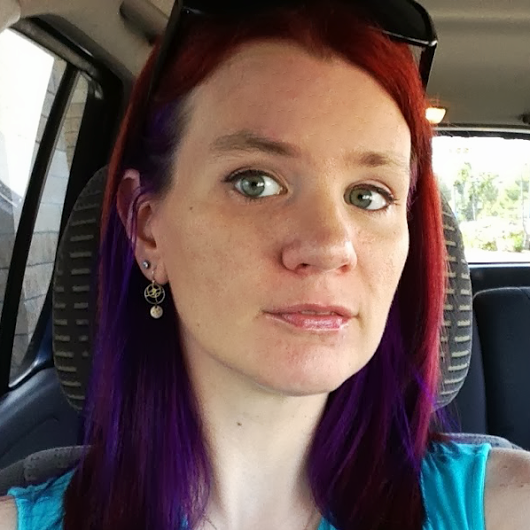 In addition to being a great addition to our gaming group, Stacy is responsible for the creation of two incredible things the +ConTessa online gaming convention and the Randomocity gaming zine. With both of these, Stacy brings diversity and unique perspectives to the greater gaming community. Stacy has been a lot of fun to game with because she brings a no-nonsense "Can I Kill It Yet?" perspective to the group. Not that the players really need any encouragement on that part. She has also proven, as part of the Geeky Voices Carry crew that she has opinions and she isn't afraid to use them in public. Also, keep any eye open for Stacy's first game as a designer, Precious Dark, which is a fresh and interesting look at post-apocalyptic gaming. I'm really looking forward to seeing this come to full fruition. Stacy plays "Shootit," a Catseye Hatchling Dragon, in our Rifts game. +Josh Thompson, when not doing traffic reports during the morning drive time on Classic Rock radio station somewhere in the American South, is our resident mix/maxer and character optimizer. I think, for the first time ever in over 30 years of gaming, that this skill has proven itself valuable to our gaming. 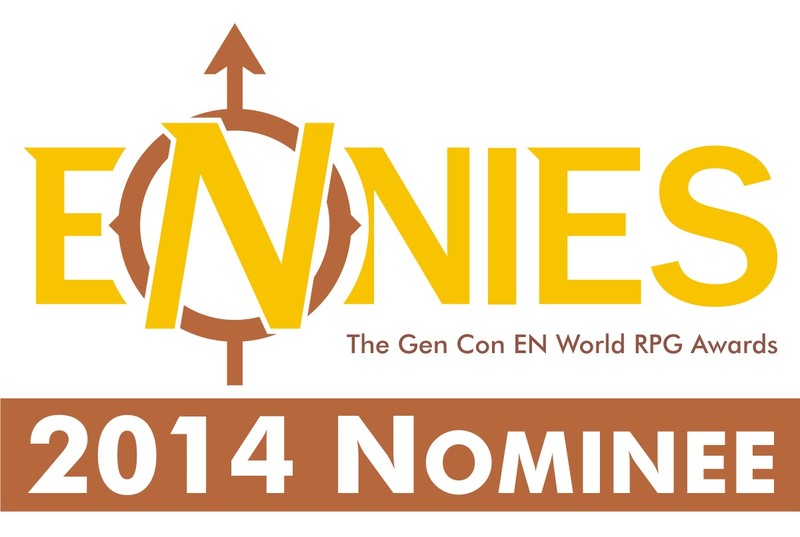 It has certainly helped when we've played in Competitive Dungeon Crawls, and in making characters for our Rifts game. In addition to being part of the Geeky Voices Carry team, he has become the unofficial official Kickstarter correspondent for the Dorkland! blog. His interviews with Kickstarter project managers and analysis of Kickstarter projects will continue with the new year. Hopefully, I can convince him to pick up his Analog Pixels column, where he talks about the intersection of computer games and tabletop RPGs, and how you can inform one with the other. Josh plays an Invincible Guardsman in our Rifts game. Now, for the newest member of the team, I would like to announce that +Helen Yanolatos will be writing for the Dorkland! blog. She will be our first ever "regional correspondent," writing about geeky goings on in her home of New York City, and eventually writing reviews of things for the blog. 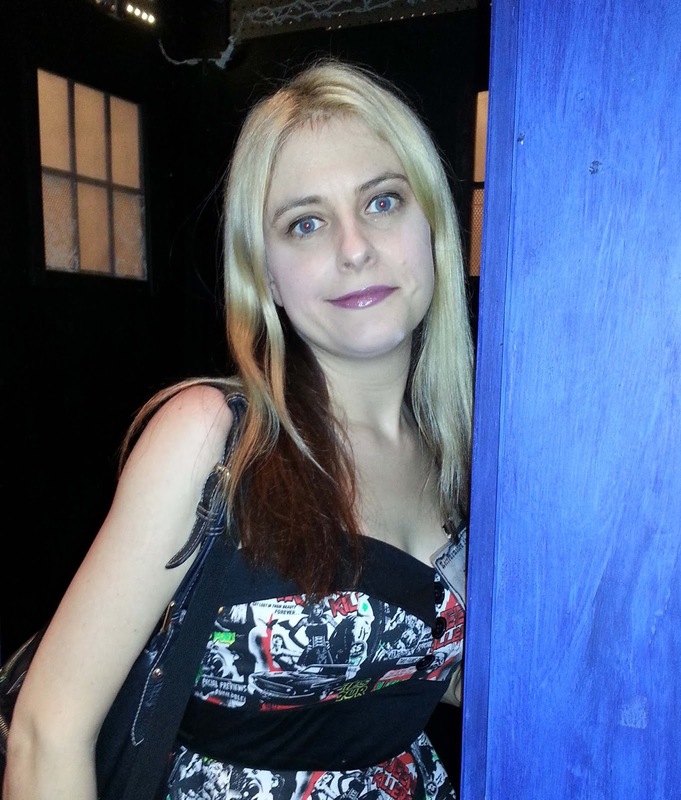 Helen is an avid fan of Doctor Who, Star Trek and comics (among other things, as well). She has also created her first game design, a mini-setting for the Fate Accelerated rules called Luxuria that will appear in the second issue of Stacy's Randomocity. Having seen it, it was mind-blowing and I can't wait to see how it is received by others. Helen also plays in the bi-weekly playtest group of my Fate Accelerated-powered game Paranormal Friction. She throws herself into her characters with a passion that I am sometimes envious of. For someone who has been involved in gaming for a short time, it certainly does not show in her play. So, this is the Dorkland! 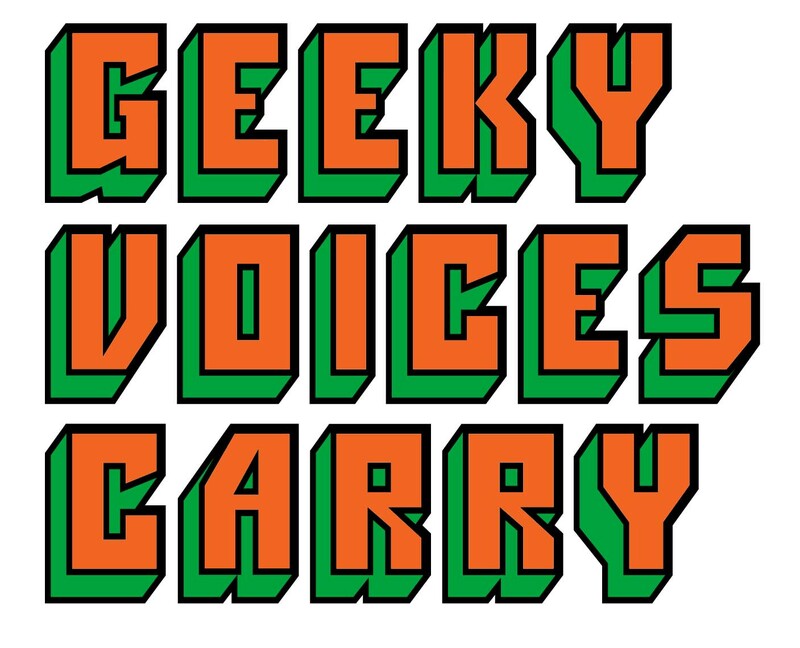 blog/Geeky Voices Carry team. A motley band, to say the least, but it is a group of people that I am proud to write and broadcast alongside of. I honestly don't think that there are many teams as strong as this one. I may be biased in this, but I don't really care. If you have anything that you would like to see talked about by any of the bloggers, or on our podcast, please contact me at christopher <dot> helton <at> gmail and we can talk about it. Whether we ultimately would play the games that you play, or take the approaches that you may take, we all still feel that diversity and more choices among gaming are better than the alternative. We have opinions here, and we are not afraid to use them. The key is, that well-informed opinions that are backed with facts and honesty are better than rants or "opinions" that are meant only to harm others.